Online travel agency Webjet’s roll-out of in-app mobile messaging has led to a 54 per cent increase in ‘text-based service engagements’ within the app within five months, the company has revealed. The flights, accommodation and travel booking site has utilised chat to interact with customers for both pre and post sales support for some time. With app usage growing fast the ASX-listed company sought a similar engagement channel within its app. “The move to offer in-app messaging expands the way customers can engage with Webjet from our existing voice, email and chat contact channels. Mobile messaging provides an additional avenue for us to have conversations with customers at their convenience,” said Webjet’s country manager, David Galt. The messaging function employs both artificial intelligence and humans to field customer enquiries. Unlike a chat box commonly seen on various websites, a conversation can be left and a notification received when the customer agent responds. Previously, app users could only send emails within the app. Webjet in an August investor presentation revealed the total transaction value – the value of all tickets, rooms and cruises booked – had risen 45 per cent year on year. The chat feature is the result of continued investment in Webjet’s mobile platforms which has included establishing a new team “installed to deliver superior chat, messaging and social engagement services for our customers,” the company said. “Our customers can now resolve issues and get their questions answered on their own time through a channel they are already comfortable with,” Galt added. The in-app functionality is powered by LivePerson’s LiveEngage platform, the same used for chat on Webjet’s website. “Messaging enables consumers to communicate in a convenient way, on their terms using a medium they prefer to speak with family and friends. It allows for multiple conversations to take place over time within one message thread; and reduces the inconvenience and frustration of being placed on hold, as wait times are replaced by push notifications,” said Andrew Cannington LivePerson’s regional VP, APAC. 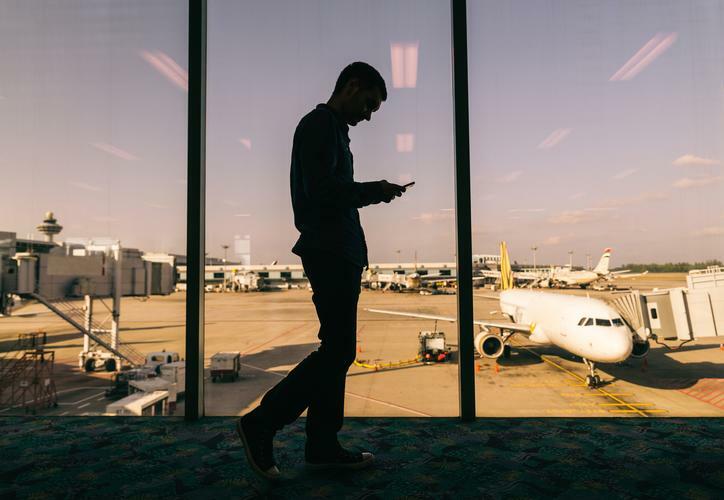 “Consumers have largely moved away from traditional voice-based communication and with the launch of Webjet’s in-app mobile messaging, we believe a new precedent will be set for travel companies, making mobile messaging the new norm,” he added. A number of Australian brands have implemented LivePerson’s in-app messaging service over the last year. Foxtel customers are able to ‘Message Foxtel’ via a feedback button inside the MyFoxtel app, which instantly connects them to Foxtel’s customer service team. Between January and June last year some 90,000 in-app customer messages were sent by the app’s 490,000 users. “Simplifying customer communications is an essential part of how Foxtel is able to quickly and accurately provide the best support possible in order to keep subscribers connected to the stories they love. Incorporating LivePerson’s mobile messaging system into our MyFoxtel app means that we can offer our customers the flexibility to manage their accounts and communicate with us in ways that complement their busy lifestyles,” said Foxtel’s head of digital sales and service, Alisha Bailey in June. “With so much of today’s communication happening via messaging on mobile devices, it’s a logical progression to enable customers to interact with Foxtel in the same way they would with friends and family,” she added. IMB Bank, the third largest building society in Australia, rolled out in-app messaging in September last year. It also added Facebook Messenger to its options for customer service chat. “[Customers] can get the assistance they need from our digital service team, on their own schedule and terms, without being forced to set aside a block of time and complete a phone call from start to finish. It’s a much more modern and customer-friendly experience,” said Daniel Locke, IMB Bank’s senior manager of digital and direct at the time. In December, LivePerson in-app messaging was also added by REST Industry Super, one of Australia’s largest super funds by membership.